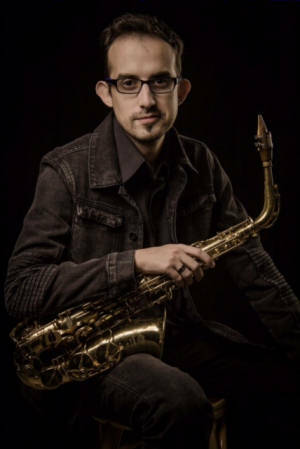 Gabriel Pinto, born and raised in Hamilton Ontario, began his musical education at 14 with The Hamilton Portuguese Band as an alto saxophonist. He was a member of HPB for 10 years 5 as Principle Alto playing under the direction of, Sergio Pavao, Gary Roque and Nelson Pinheiro. After completing high school (Cathedral High School) he continued his musical studies at Mohawk College focusing on Conducting, Composition, and Saxophone. 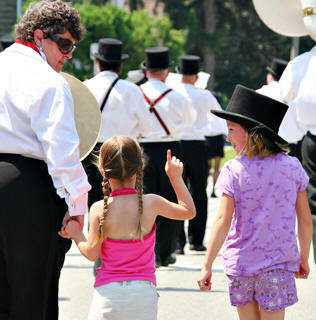 In 2008, at age 21 he was asked to be the conductor of The Holy Spirit Marching Band of Cambridge Ont. Making him the youngest musician to become a conductor of a Portuguese band in Canada. He was there for one year after which he was asked to become the Music Director of The McMaster University Marching Band where upon the band’s trip to Montreal’s St. Patrick’s Day Parade, the band placed 2nd. In addition, in 2010 he became a member of The Sacred Heart of Jesus Band of Toronto (St. Helen’s Parish) as Principle Alto Saxophonist playing under Conductors Joao Soares and Miguel Domingos, he remains a member. He joined The Royal Canadian Navy in 2012 in the Cadet Instructor Cadre where he was awarded The Commanding Officer’s Commendation (HMCS Ontario) for composing a march in honour of Queen Elizabeth II’s Diamond Jubilee. Most recently, he was the Conductor and Artistic Director of F.L.B.J Band (Oakville’s Portuguese Marching Concert Band) from 2013 until 2016. He also worked with The Hamilton Philharmonic Youth Orchestra as Orchestra Manager/Librarian as well with The Hamilton Philharmonic Orchestra. He continues to be in high demand as a saxophonist, conductor and composer with various groups in Canada, USA and Europe.